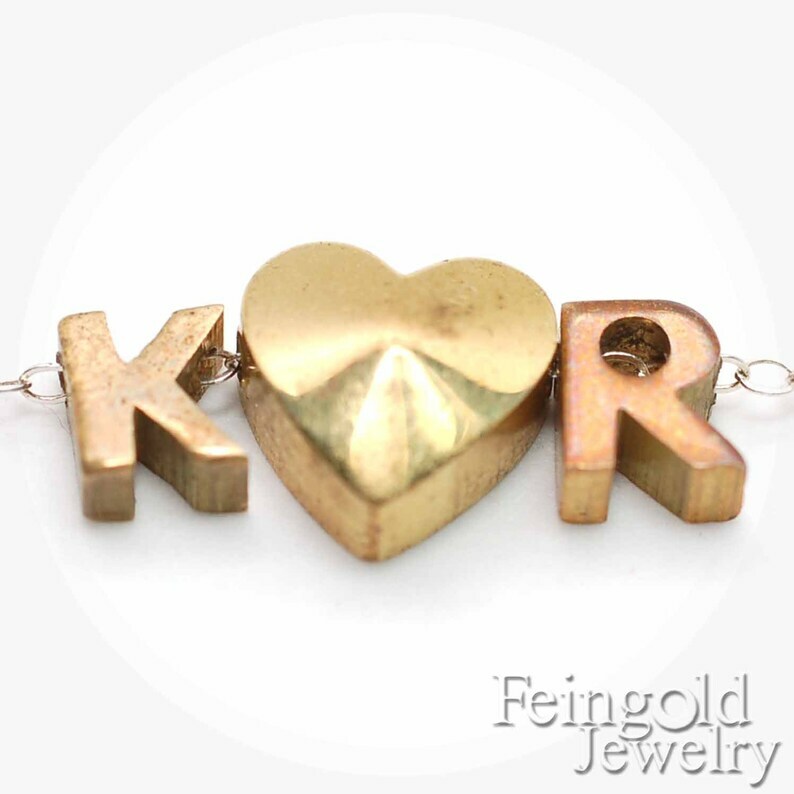 This necklace is comprised of itty bitty oxidized brass vintage letters and an itty bitty puffy brass heart* suspendend on a delicate 18 inch** sterling silver chain. The "First Letter" goes before the heart and the "Second Letter" goes after the heart. - Pendant: the heart measures around 3/8 inch (0.9 cm) long and 3/8 inch (0.9 cm) wide. Each letter measures around 1/4 inch (.7 cm) long and 3/16 inch (.5 cm) wide. The two letters and one heart measure around 3/4 inch (2 cm). Please note - Due to small parts, for adults only. * The brass letters may darken with age. ** If you want to replace the 18 inch chain with a 16 inch (or shorter) chain, just leave a note to the seller when you check out. The stelring chain may oxidize.